Sure I’ve been hungry but have never really experienced hunger. Understanding how world hunger occurs is alien territory to most of us. Once again, thank you Bill Gates for recommending this good read….these cartoons truly explain how the hunger process occurs. 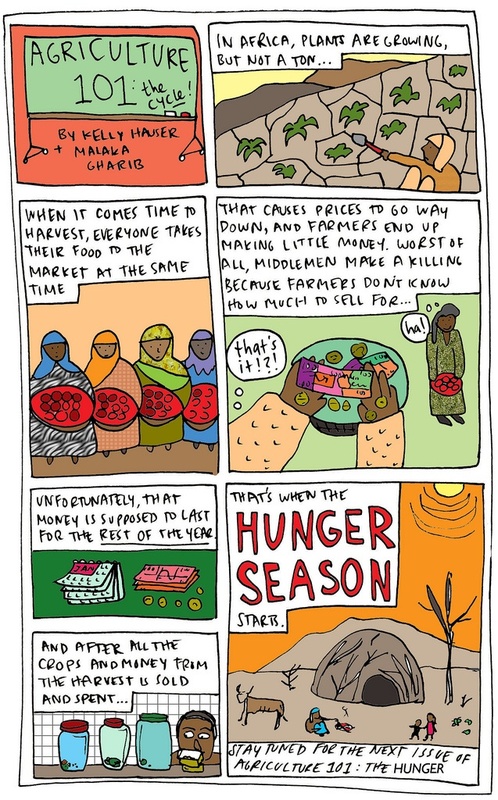 One.org presented a graphic novel, entitled Agriculture 101 by Malaka Gharib, with Kelly Hauser. Don’t miss the book recommendation at the end.